Owning income-producing real estate in your IRA is a great way to diversify and build wealth. Real estate is a solid asset with value cycles that are largely decoupled from the fluctuations of the stock market. A well-selected rental can produce consistent cash flow as well as the potential for appreciation over time. When you add the ability to apply the principals of leverage to your IRA real estate investment, you magnify the potential for income creation inside your tax-sheltered retirement plan. By using mortgage financing to acquire an IRA-owned rental property, the IRA can extend its purchasing power, and create a higher cash-on-cash return for each dollar deployed. Buying a property with your self-directed IRA does involve some special consideration and planning. As part of our ongoing How-To Series, we wanted to touch on some of the key factors that go along with such a strategy. From having a plan in place to purchasing the property, here’s what you need to know about buying an IRA rental property using mortgage financing. As with any real estate investment via your self-directed IRA, the first step is making sure you have your self-directed plan in place before you write an offer. The IRA-owned LLC must be the purchaser, and all funds for earnest money must come from the LLC and not you personally. It typically takes 3-4 weeks to establish and fund a self-directed IRA LLC and be in a position to place a property under contract. Most lenders that will work with IRA properties will take about 45 days to process and fund a loan, which makes it even more critical to have the IRA LLC in place before writing an offer. IRS rules require that any debt-instrument utilized by an IRA be non-recourse – meaning no personal guarantee from your or any disqualified party to the IRA. If you were to pledge a guarantee, then you would be providing your personal assets as security for the IRA’s debit. This would violate the self-dealing rules that surround IRA plans. There are a handful of banks that offer such non-recourse loans to IRA borrowers on 1-4 unit properties on either a national or regional basis. if you are working on a larger commercial property such as an apartment or office complex, there are a wider range of banks willing to lend on a non-recourse basis. It is also possible to obtain seller-financing or a private loan from another investor – so long as you avoid disqualified parties to the IRA. Make sure you discuss your project in advance with a specialty non-recourse lender such as those listed on our Vendor Resources page. They can tell you if the property you’re considering will qualify and what type of down payment and reserve requirements may apply. Because a non-recourse loan without a personal guarantee is higher risk to the bank, the terms you can expect will be more conservative. Typical residential non-recourse loans will offer 60-65% loan to value and require 10-15% liquid reserves in the IRA. Once you have your plan in place and preliminary approval by your lender for a loan, you are ready to make an offer on a suitable property for your IRA. The IRA-owned LLC will be the purchaser of the property, and the contract should be written to reflect this. You, as the LLC manager, will execute the contract on behalf of the LLC — not in your own name. Any earnest money deposit must be paid with LLC funds, as well as any other pre-closing costs such as inspections and appraisals. It may be possible to roll some costs into the closing transaction. Give yourself at least a 45-day close period to allow for lender underwriting and processing. 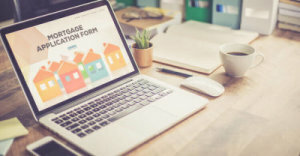 The IRA-owned LLC will be the borrower on the mortgage, and you will want to work with your lender and title company to have that properly documented. The lender will also want to be an additional named insured on your LLC-held insurance policy. At the closing, you as the LLC manager will execute all contracts for the real estate purchase and the non-recourse mortgage. You can then issue funds from your IRA LLC bank account to fund the purchase. When an IRA uses debt-financing to make an investment, there is a small tax burden that applies. The concept is that the portion of the income directly derived from the IRA capital — the down payment — is fully tax sheltered. The portion of the income that the IRA receives from the non-IRA (borrowed) money is what is taxable. The income attributable to the loaned money is referred to as Unrelated Debt-Financed Income (UDFI), and that is what is being taxed. But don’t panic! Many investors act like a spider landed on them when they hear there may be a tax liability inside their IRA. While the income generated by UDFI does come with some tax cost and an additional administrative burden, the IRA will still very much benefit from the use of leverage and the higher cash-on-cash returns that leverage can produce. Taking the time to understand this concept can produce real benefits for your IRA. Note that unlike an IRA, a Solo 401(k) plan is exempted from UDFI taxation when the debt instrument is associated with the acquisition of real property. For those investors who qualify, this can be a better plan format if your investment strategy will include mortgaged property investments. Following is a simple example to illustrate the potential return on investment an IRA may receive from a leveraged property investment and how that would compare with an all-cash purchase by the IRA. Assume you have $100,000 of IRA money to invest. You can purchase a $100,000 property all-cash or use that same $100,000 to make a down payment on a $200,000 property. The leveraged investment produced an additional $78,823 of income over a 5-year period as compared to the all-cash property. The cost of UDFI taxation and tax preparation totaled $4,732. To put that in perspective, would you spend $4,700 to make an extra $78,800? As an aside, that same $100,000 invested in stocks that directly matched the performance of the Dow index would have produced a 14% return over the 5-year period ending in 2017. The all cash rental beat that by a factor of almost 10, and the leveraged rental produced a return more than 7 times better than the Dow. It should be clear that the ability to hold debt-financed real estate in an IRA creates a real potential to magnify the growth of your retirement savings. This strategy is not without risk, however. Your IRA will need to be prepared to pay the mortgage every month, whether there is a tenant in the property or not. The need to file a tax return for the IRA’s Unrelated Debt-Financed Income introduces an additional bookkeeping burden and the necessity to bring a skilled CPA onto your team. When weighing the potential increase in the rate of return, however, the reward may justify the extra complexity such an investment strategy creates.